Ethnic minorities are creeping up but as the link I provided states the increased birth rate from minorities declines rapidly over time and will eventually fall in line with the native populace thus essentially meaning they reach a plateau. Also as I stated in my last post a Britain where whites are the minority is a possibility but that will come at a time when religion ceases to be relevant for most folks. Trends show the continuing death of religion even amongst Muslims, So a Muslim majority country is pretty much an impossibility, too many of these supposed “Muslims” will actually be atheists. The trends you are discussing are not constant. The increased birth rate is proven to decline and fall more in line with white women. Also as I keep stating most of these new Muslims will in fact be atheists in the future, Sure they wont be white but they wont be Muslim. I have a comment awaiting moderation, it contained other links NOT from channel 4 which state the exact same thing. That isn’t the case in the UK at least with muslim immigrants, which remember have been here since at least the 1950s. Despite it being more than 60 years since the first arrivals, the average woman from Pakistan living in the UK will have 4 children (not including miscarriages) in her lifetime, which is 2-3 times higher than the birthrate of UK-born white women. It is simple maths that once the muslim % of the population gets to 10-15% it will then increase very fast. Lets look at the facts people. Over 10 years between 2001 and 2011 the Muslim population increased from 3% to about 4.5% What’s more most think that the figure from the 2001 census actually UNDERESTIMATED the number of Muslims because it came at a time of heightened anti Muslim sentiment causing many to probably refuse to answer (which you are allowed to do on the Religion question) so the actual increase is probably even less. And as I keep stating and as the facts show the birth rate amongst Muslim women falls over time more in line with white woman AND an increasing number of young Muslims are actually atheists. Islam is never and I repeat NEVER going to take over Britain. Perhaps because it included a trigger word which sets off moderation. I genuinely hope you’re right but I fear you are too complacent. I do not want to live in a UK with a population of 90m where my granddaughter has to go to school in a headscarf. But on current life expectancy (I am 39) that is the country I will die in unless we radically get to grips with the population increase we are facing. Again the figures you are quoting re births rates are inaccurate though, the birth rate does decrease, the data shows that the number of births per woman for Muslim women (of Pakistani and Bangladeshi origin) in Britain was 7 per woman in 1971, it fell to 3.23 in 1996 and is projected to fall to 2.5 by 2025. That is a 50% increase. So in 6 iterations you get to over 50%. If we stick with 10 years per iteration we would be at about 2070…but it may happen faster given the millions of people coming from Syria etc to Europe, which was not a factor from 2001 to 2011. But as I stated the birth rate is falling amongst Muslim women AND many of those Muslims will actually be atheists, come 2070 I imagine Christianity will be pretty much extinct in Britain and Islam will be adhered to by about 20% of the populace, the rest being irreligious. I don’t want our national religion to die out, although I’m not particularly religious myself. That’s the problem I guess, lol. Heaps of people would be CofE if it wasn’t for having to believe in God. Myself included – I’ve taken the cop out option of being hard agnostic. Don’t know, can’t know, don’t want to know. Lol you sound exactly like my brother. I’m not hugely bothered myself whether it dies out or not but its a phenomena not unique to Britain and important to note its totally unrelated to immigration. We could end immigration tomorrow and it wouldn’t change the trends in that area. HH – We’ve discussed this before, so I won’t repeat all that. I can see how that ‘could’ happen from the extrapolation, but it won’t. We’ve reached a tipping point (hence the Referendum amongst other things). In 50 years time, I expect the Blair years will be the peak rather than the new norm. Although equally I can’t see us returning to the 1980s figures of 10-30,000 arriving each year. I certainly think 75,000 is doable and any MP who says otherwise is just showing a lack of political will. I’m guilty of viewing things from a North West angle and you are from a Greater London angle. As I said NI, Wales, most of Scotland, Merseyside and the NE are 95% White UK. That doesn’t of course mean that London, Bham, Manc won’t just become even more ethnic than they currently are. Yes, Bengali birth rates remain double the White UK rate, but the former have halved from 7.8 children per family 20 years ago. In short, in general most immigrant groups revert to having almost the same number of children per family as the host nation average. There was a very good BBC2 docu on population and how it’s levelling off worldwide in 40 years time, rather than the continuous growth that geographers used to speak of..
10% still attend church each week in the UK. (Again, I’ve posted all of the stats previously on another thread from when I had to cover a Diocesan thing up here). If anything immigration has halted the decline in numbers attending. 1 in 4 children in England attend a C of E primary school. @Maxim I don’t think that is true it really depends on what type of BAME they are and their socioeconomic status. My guess is that that far down the line wealthy non-Muslim BAME people and wealthy people from Eastern Europe (and perhaps wealthy secular Muslims too) will be a rock solid Tory voting group just like their white British counterparts. Though anywhere that does get a large influx of very religious Muslims (we can’t predict where yet) will indeed be rock solidly Labour. 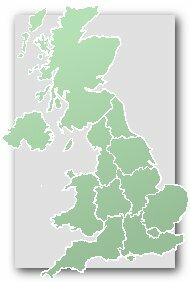 I expect that the effects of a huge increase in Britain’s Muslim population on politics will be something like: Labour largely becomes a Muslim pressure group with its only other support coming the very poor and the lefty lovies (though even these may have flaked off to the Greens or some similar party). The Tories will likely be (even more so than now) a socially liberal party for the wealthy/upper middle class with support from wealthy people regardless of their ethnic background (except of course wealthy non secular muslims who will be part of labour’s pressure group) which is why I expect Harrow will revert to the Tories assuming there is no large influx of Muslims into the area. The White working/lower middle class of both the Tories and Labour will have flaked off to anti immigration/nationalist populist parties (the I’m voing Labour cos my granddaddy did will be well and truly dead). Poorer non Muslim BAME residents may well have their own version of a populist party too. For how utterly pathetic I think a lot of the left has become check out this article in the guardian which essentially summerises the sorry state they are in: http://www.theguardian.com/commentisfree/2016/jun/10/queen-elizabeth-90th-birtday-street-parties-middel-class-nationalism-british-empire. Now instead of doing what I thought the left should be doing and calling out the people openly subverting the values of Liberal democracy they are instead spending their time complaining how a harmless street party embodies colonislism lol. So, so sad…. To be clear I am not referring to all Muslims or all of the left, I am referring to Muslims who do not believe in liberal democracy or its values and try to subvert these values with their own because a 1,500 year old book says so (i.e. you can’t draw Muhammad) and those of the left (Corbyn, Milne, Galloway etc.) who support their attempts in doing so. Frankly what can be described as at worst political correctness gone mad from Corbyn and a self indulgent rant from the Guardian hardly detracts from what the Tories are doing. I seriously don’t get this from the right. How can this bother you more than everything the Tories are doing? Their collusion in the literal destruction of society? No Corbyn and co are way beyond politically correctness gone mad that definition is more suited to the Lib Dems and the sane wing of the Labour Party. Corbyn’s wing is full of deeply unpleasant and dangerous apologists for extremism (which I have explained in my previous two posts). The literal destruction of society??? What does that even mean most of the public is doing ok and is at least reasonably happy with their life and public order is maintained no riots etc. life in Britain is certainly better than at the time of the financial crash. If anything Corbyn and his crew are a far bigger the treat to society than the Tories could ever be due to their willingness to sell the values of Liberal Democracy up the river to please their extremist friends. I am on the Corbyn wing of the party and as I have always said I don’t know anybody who holds a single anti Semitic, sexist, homophobic viewpoint. As I explained in my earlier post are their apologists out there? Yes. I even explained where that stemmed from but it frankly pales in comparison to what neoliberal foreign policy entails, we’re currently in bed with some of the most oppressive regimes in the world (Saudi Arabia most notably) just cos it suits us. Corbyn is neither unique in this or even a particularly bad perpetrator. As for what the Tories are doing to society the “I’m all right Jack” mantra only gets you so far. I have witnessed first hand the devastating effects of what the Tories are doing but I’m sure you don’t really care about my sob stories so I’ll give you cold hard facts. The Tories have created an economy built on sand, predicated entirely on a house price bubble and high personal debt, a low wage, low productivity economy, with gaps plugged by the short term flogging of state assets, brutal cuts to public services and benefits for societies most vulnerable topped off with a nice healthy blind eye to the effects of climate change. This is not sustainable. we’re both young so I can happily state this to you, in 30 years time when we’re much older remember this conversation, common consensus will be that Cameron and co were short termist and economically illiterate, quite possibly the worst government our country has ever had. They are kicking most issues into the long grass, are totally oblivious to many others, actively creating other problems and in those few areas where they are actually trying to make things better (the public finances, education, prisons) they’ve remarkably made things worse in pretty much every instance. Its only a matter of time before it blows up in everyone’s face, I just hope the blame is properly felt by those responsible this time. McDonnell said he doesn’t recall making the ‘bullet’ comments. Obviously it’s unlawful to reveal any figures, but another Labour Cllr has told me that Leave are ahead in the postal vote in his part of Merseyside. If the law says postal votes should remain secret, why on earth do they continue to use thin paper through which people’s votes can be seen and deduced? Incidentally, the weather forecast is dry and fine for Polling Day here. After a day of torrential rain tomorrow. We’ve actually had flooding in parts of Merseyside and Cheshire these past 3 days. Flaming June! I was amused to hear some academic/’expert’ had spent some 200 hours analysing data only to arrive at a forecast for Thursday of 50:50%, with a probability of 50% for either side winning. I hope we didn’t fund that research, although it must have been soul destroying if genuine to discover so much time produced those figures. I see Fisher almost came to 50:50% as well. I don’t have a problem with amateurs like us arguing endlessly over the result, but it’s another thing altogether if money is being spent by experts just to come up with the square root of squiddly-doo, as with the example you give. I don’t agree with Maxim’s view that Labour will be winning everything within the M25 within a few decades. Does that include Kensington & Chelsea or the gentrified environs of Putney and Battersea? Does it include those suburban areas where the rot appears to have stopped for the Conservatives, like Hendon and Harrow East? I am happy to accept that Labour will probably do even better and that Conservative majorities in north Surrey may slip somewhat but let’s not blow things out of proportion. After pillorying my forecast that Leave are going to be defeated, the only prediction you were prepared to make was that both sides would get over 45%! Re: effect of MPs murder on referendum. I think Voters will of course have great sympathy for Mrs Cox and her family but this is unlikely to result in a huge change of voting intentions. That’s not to say it won’t be significant however. The 2003 murder of Sweden’s Anna Lindh may be the closest comparable. She was killed a week before polling date. Lindh was a very prominent national figure (Foreign Sec) and the lead campaigner for the “Yes” vote in the Swedish Euro referendum. Despite much sympathy, the “Yes” vote didn’t improve on previous polls. It ended 56%/42% to No. I would guess Mrs Cox’s murder will result in a little net benefit to REMAIN but only around 1% – 1.5%. But this of course may be enough to be significant. YouGov tonight though shows a 5% total swing to REMAIN. LEAVE has been steadily lengthening in price and LEAVE is now 3.25 on BETFAIR (30% probability). LEAVE was as high as 41% on Thursday morning. Have you changed you own forecast that Leave will win? From previous posts I know you read PB.com. Almost al the Leavers on there now expect to lose. Some are close to the campaign. Though some think I was too quick to jump the gun on this it seems that even if it has only made a modest difference it looks like it will be enough for Remain to squeak it. A remain victory will not be the end of this by a long run. I think it will. This has not been a good advert for referendums, and having seen how David Cameron destroyed his party thanks to holding one the politicians won’t do it again in a hurry. Frankly the public are also most likely getting fed up with referendums, one after the other these past couple of years. It might not be 40 years before the next referendum on EU membership but it will be at least 10 IMO. That’s what I’m talking about. Pull out the popcorn and watch the Tory party implode. And leave voters narrowly missing out are bound to be pissed off, if that can be harnessed then much interesting things could start to politically realign. I think we’re seeing the reversion to the status quo rather than it being a reaction to the Jo Cox killing. The late late momentum appears to be with REMAIN. Those of us who hope or are predicting a LEAVE, now are left holding on to the theory that the polls are wrong – specifically that differential turnout hasn’t been accounted for properly. I think that is reasonably foreseeable that due to sampling difficulties. We must remember as well that some polls will have LEAVE in front come Thursday morning. I’m gonna wait for the TV debates and for the polls out on Tues and Wednesday before giving a final prediction. My last thoughts in mid week was 52.50% LEAVE. Some Leave voters will be pissed off, some will accept it and move on. Though I’m personally relieved that Remain will most likely prevail, their campaign has been disgraceful, this past two days especially. You’re right that the Tory party will never be the same again, thoguh quite how it will change is hard to guess. I think the Cox events have helped the move back to the status quo by keeping Leave totally off the media. At a critical juncture in the referendum it totally sunk their momentum. Lol because the yes Scotland lot were all about accepting things and going back to business as usual. HH – I suggest you re-read what I said (and on the correct thread). But I agree what you said on Batley was in hope. You showed no evidence for your assertions and then ignored all of the evidence myself and other posters provided. @rivers10. A couple of points that I forgot to reply to. As to your point about the media stories about Islam being mostly negative this may well be true but if you have noticed the media is very rarely positive about anything so if there is a news story it will likely be at least somewhat negative. Thus we hear very little in the news about Jews, Hindus or Sikhs because the media is not a big fan of positive news stories and there isn’t a great deal of nationally relevant negative things about these communities for them to cover. For Islam however the last bit is unfortunately not the case. The BBC for example certainly does not go to harsh on Islam it does the complete converse. For example take the Rotherham grooming scandal, the BBC had to report it of course because it was a major scandal but they went out of their way to present it as just a group of sick men and completely downplayed/ignored the religious and cultural reasons why these men felt like they could treat girls (particularly white girls) like dirt. Of course the reason why the scandal went on so long was due to the influence Muslim ‘community leaders’ wielded over the council/other relevant local authorities as well as because the super politically correct Labour councillors were terrified of criticising Muslims for fear of being called racist. If anything because of the BBC’s ineptitude/unwillingness to properly criticise, Rotherham didn’t turn into quite the long lasting national scandal it should have become or provoke a serious national conversation about the very dangerous poison of extreme political correctness on the left or about the uncomfortable truth (particularly to the left) that misogyny isn’t uncommon amongst Muslim men throughout this country. As H.Hemmelig says the fact that Muslims are persecuted in the UK is ‘horseshit’, if anything the media is far to scared to criticise to an appropriate degree for fear of getting the ‘racist’ label. I refer you also to the media completely ignoring that some Labour Party meetings in high density Muslim areas have been segregated into men and women. The lefty feminists also have nothing to say whatsoever. I wonder what the reaction would be if say UKIP gender segregated it’s audience, rather different I would suggest? Also unfortunately there is very little evidence to suggest young Muslims are more secular that their parents or grandparents generation. Looking at polling on insulting the Prophet and symaphising with the Charlie Hebdo massacres they seem to be more extreme than their elders (BBC ComRes poll). I must stress though that I am not referring to all Muslims however if (by the channel 4 survey) 23% want Sharia Law replacing British law in areas with high Muslim populations, 52% think homosexuality should be illegal and 39% think wives should always obey their husbands then there clearly is a serious problem within large chunks of Britain’s Muslim communities. These problems need addressing for the good of everyone (including Muslims) not just swept under the rug by the politically correct left (I can only imagine their outrage if this was Catholics or Jews) and the BBC. Because the longer you ignore a problem and pretend it doesn’t exist the worse it gets. Lancs – if you are trying to argue there hasn’t been a big swing back to Remain since Thursday it is you who is ignoring evidence. All the polls published with fieldwork done since Thurs have Remain back in the lead. Leave was 5/6% ahead in mid week. Leave’s price had moved out to 9/4 on betfair yesterday. As someone who follows the betting markets closely, it is true that following the two spikes to LEAVE on Weds eve / Thursday morning LEAVEs price went as high as 41% on BETFAIR and down to as low as 6/5 with one high street firm. LEAVE has been steadily lengthening in price since Thursday evening and is now down to 27% on BETFAIR and generally at 5/2. Fwiw, I personally would not offer more 11/8 on LEAVE as I estimate that probabilities are at most 60/40% REMAIN. I have to accept that the polling evidence from the weekend supports H Hemmelig’s view. I agree with H Hemmelig that the consequences of this referendum on the future of the Conservative party will be momentous and if the Cameroons are expecting to maintain their grip on the party for long they are going to be in for a rude awakening. HH – they do not. But we’ll know more on Monday and Tuesday. I repeat that all of your points on Batley were mere assertions and what you hoped would happen. That’s fine, but there was no evidence for what you said at the time, or historically and you have ignored the contrary evidence I and other posters provided to show why they were false. I’m sceptical about the reliability of the polls, although I expect a narrow remain win (which would be the worst outcome for Tory party unity) I would not be surprised at all if the polls are completely and utterly wrong (in either direction). The British polling industry has a very poor track record of late and referendums are a lot harder to poll than general elections as you have no past data to go on. First of all I should point out I agree with the bulk of your post, I don’t endorse any of the things you’ve mentioned and I’ve openly admitted that many on the left (for a plethora of reasons) are overly sympathetic to Muslims and frequently act as apologists for them. I like to think I don’t and I wish others would follow but alas. The main comparison has to be made with Christianity which has plenty of negative stories but also had a good 40% of positive coverage too (new pope, new archbishop, Christian charity work etc) while as I said Muslims were literally given nothing but negative coverage, not a single story portraying Muslims in a good light, that just isn’t right. But there is also a serious double standard in play, the BBC have at multiple times in recent years reported on the work the Red Cross is doing in Syria but Muslim Aid has raised vastly more money for work-in Syria and the Beeb haven’t mentioned it once. One thing that really irked me though was a few years back when BBC News North West reported about how some Muslim faith school in Bolton was getting in trouble because it wouldn’t let the kids raise money for Sports Relief cos they fund charities that provide planned parenthood facilities in the third world, which they obviously oppose. Issue is my own school (which was a Catholic school) wouldn’t let us raise money for the exact same reason, its a horrific double standard. I remember this vividly cos it was the first (and only) time I’ve ever complained to the BBC, I was less bothered about prejudice towards Muslims but more bothered that my school was getting away with it. Didn’t even receive a reply from them as it happens. Also for the record that segregation story did get covered by the BBC, I remember it being reported, wasn’t their leading story obviously but its hardly the most pressing issue however much I disagree with it. It also got coverage on the Daily Politics both the day Cameron mentioned it in PMQ’s and a subsequent episode. The Beeb did not ignore this issue. Finally on the secular nature of young Muslims that poll is obviously not a great example since it was conducted on self identified MUSLIMS. Most young people from Muslim families don’t consider themselves to be Muslims and rightly so since a Muslim is an adherent of Islam, it isn’t a race. British Social attitudes survey shows that young people are markedly more likely to be irreligious than older generations across all races and religious backgrounds in the UK. On an ending note I totally agree the issues that remain amongst some sections of Muslim society (misogyny, homophobia etc) need to be addressed but its abundantly clear that’s accomplished by selling our own culture rather than trying to trample theirs. If we had more secular Muslims in positions of power (Sadiq Khan being a great example) more Muslims in the wealthier parts of the country which remain monolithically homogeneous rather than packed into poorer districts or an end to the clear preferential treatment for Christianity that having a state religion inevitably leads too and most importantly genuine efforts to get the two communities to mix, abolishing faith schools for a start things might start ti seriously improve. These methods would be vastly more effective at integrating Muslims rather than banning Burka’s or regulating the construction of Mosques. ‘Most young people from Muslim families don’t consider themselves to be Muslims’. Have you any proof of this? I am not asking in an accusatory matter- I am genuinely interested. Is there a poll done with fieldwork after Thurs with Leave ahead? I certainly haven’t seen it publicised if so. The main question for me is whether Remain’s lead holds at a narrow level of 1-2% until polling day or if things swing back a bit more, to a lead of say 5%. Given the high amount of postal votes I don’t think we’ll see a bigger Remain victory than that, hence the nightmare scenario for the Tories of a narrow Remain victory I most likely exactly what they’ll have to deal with. It seems like all the air has been let out of Leave’s balloon and their campaigners, at least online, seem despondent, quite understandably so. I don’t see them being able to turn it around from here. “‘Most young people from Muslim families don’t consider themselves to be Muslims’. I’d say that was almost certainly false. But certainly interested to see the evidence. HH – yes, as other posters said on p6 of the Batley thread in response to your assertions. As I said I have no problem for you hoping… for private polling, for no Leave campaign on Tue, Wed, Thur, no mention of immigration and so on – but there’s no evidence for any of it and yet you state it all as a given.